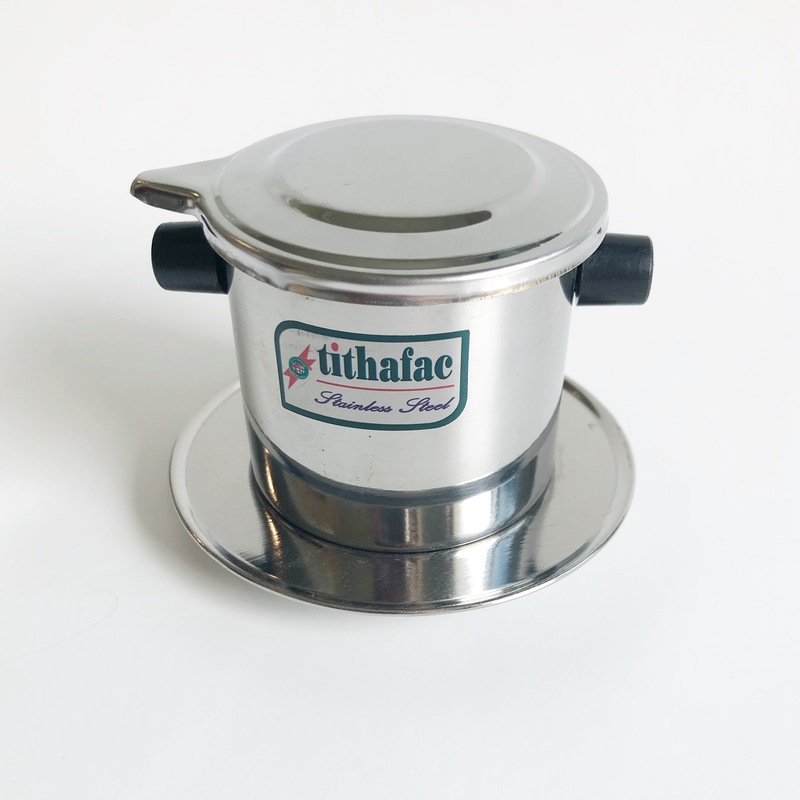 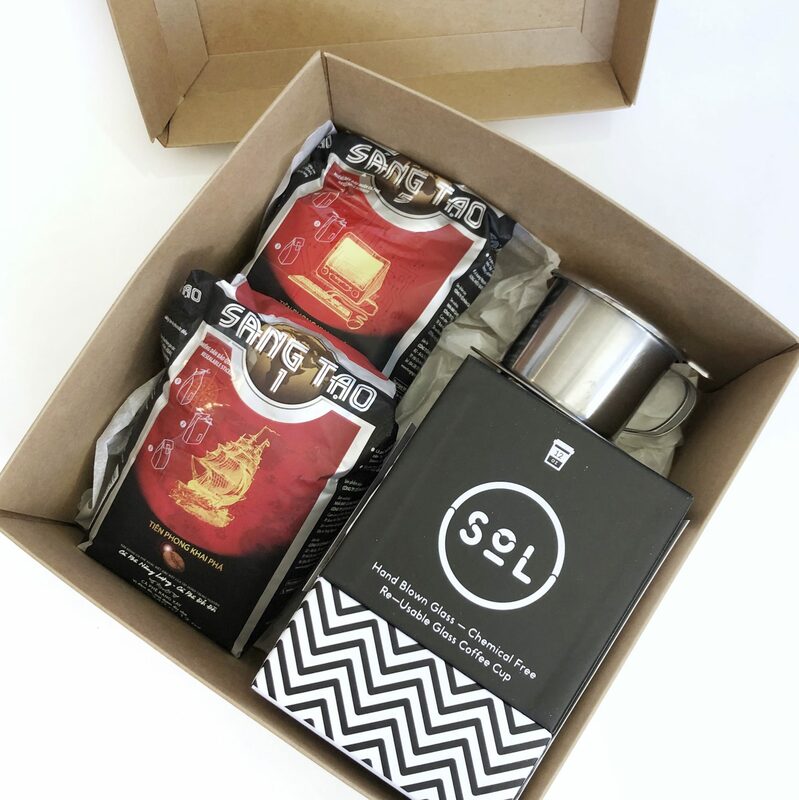 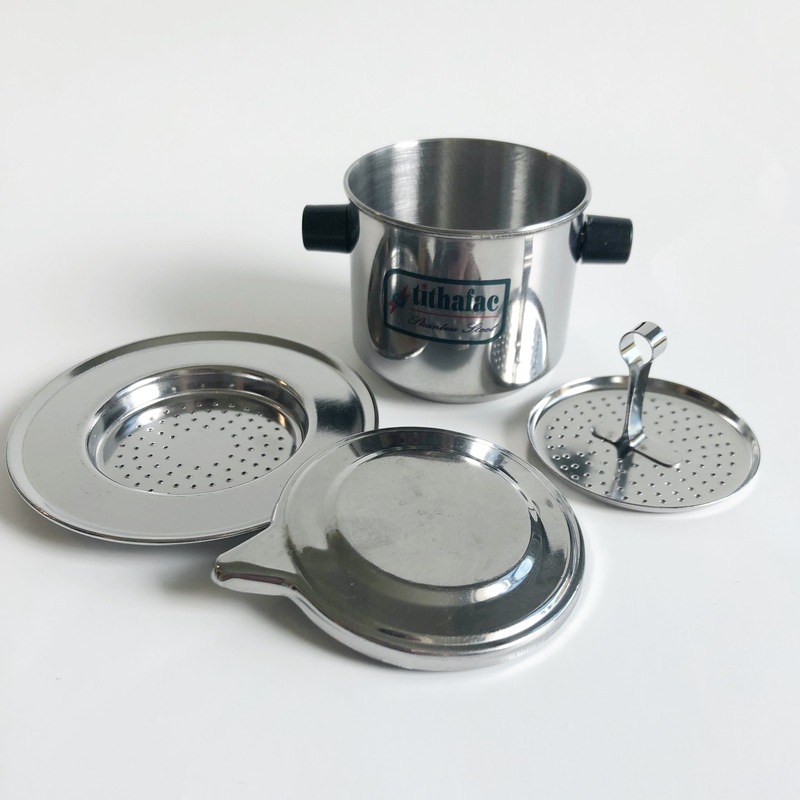 Medium size (standard) Premium Phin Filter for brewing Vietnamese Coffee. 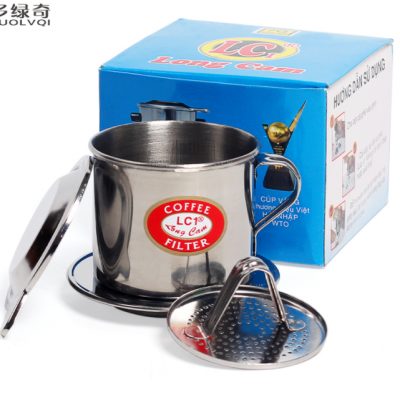 This is the next level up Phin filter for people who love Vietnamese Coffee. Vietnamese coffee is best brewed through the specialised Phin. 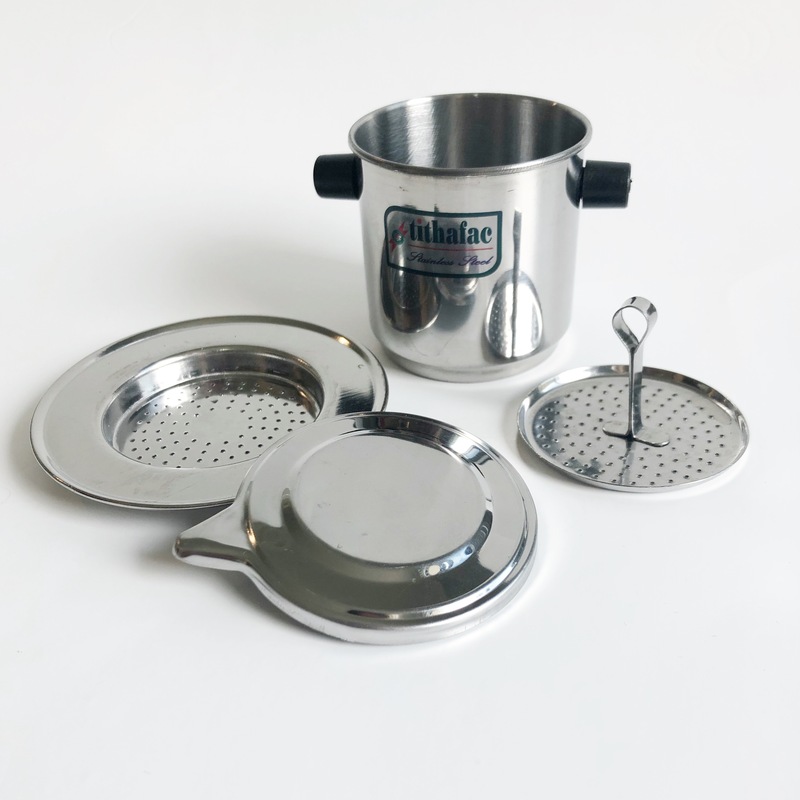 The kit includes the filter chamber, filter press and cap. 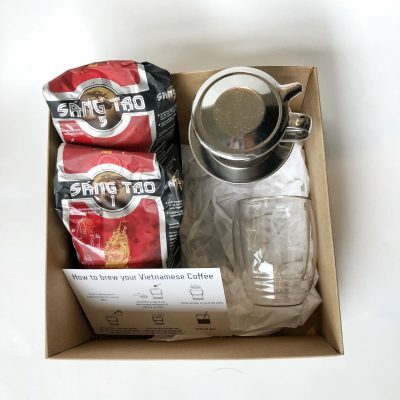 Some people prefer a glass mug or cup because they can watch the progress of the brewing.